Description With Live Drumming. Journey to the nanm (“soul” in Haitian Kreyol) of Afro-Haitian dance and become acquainted with the different Iwa (gods) in the Vodou religion through their dances, songs, rhythms, and rituals. You’ll explore the undulating movements of Yanvalu, the powerful precision of Nago, and the grace and beauty of the Kongo dance – all traditional Haitian dance forms with roots in West Africa and the South American Amazon. 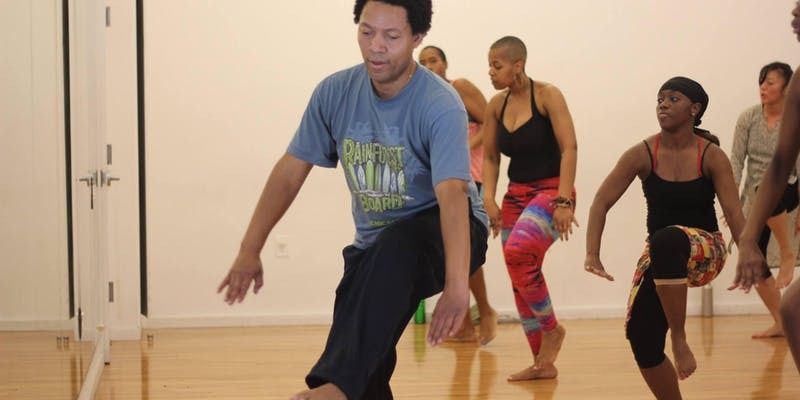 Haitian dancer and teacher Julio Jean’s extensive credits include work with Katherine Dunham and performances of his company’s choreographies at Alvin Ailey and Central Park’s Summer Stage. He is also a songwriter and composer of traditional Haitian music.